The Escapist is happy to announce a metric crapton of talented speakers who will be gracing the panel stages at the Expo to talk about games. 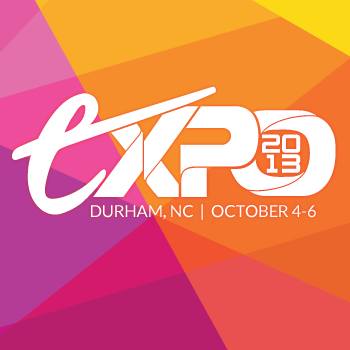 The Escapist Expo is right around the corner - October 4th, 5th and 6th in Durham, NC. While there's a bunch of other conventions out there, the Escapist Expo is the only gaming event that will bring together a very special group of game makers, writers and designers both from local companies and across the nation. Sure, Yahtzee , Lisa Foiles and MovieBob will be on hand, not to mention Jim Sterling, the guys from No Right Answer and Gavin "Miracle of Sound" Dunne, but I'm really excited to pick the brains of game designers behind such illustrious franchises as Saints Row, Tom Clancy's Splinter Cell, Rachet & Clank, and Guild Wars. Oh, and Cliff Bleszinski will be there. You know, from a little franchise you might have heard of called Gears of War. These game designers will be able to discuss a huge variety of topics, from panels like "The Most Wonderful Games We Never Made" to "Why You Should Hate SimCity and Other Games that Ruined Your Life". You'll even be able to ask them questions in brief Q&A sessions after the panels on which they appear. Former Epic Games Design Director Cliff Bleszinski, a 21-year veteran of the video game industry, shipped his first commercial title Jazz Jackrabbit before graduating high school. 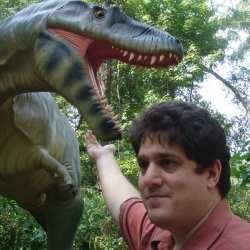 During his tenure at Epic, Cliff was a key visionary behind the award-winning, multimillion-selling Unreal game series and the billion-dollar Gears of War franchise, which has eclipsed 19 million copies sold worldwide and crossed over into novels, comics, film, action figures and merchandise. While at Epic Cliff also lent his creative expertise to Epic's games, such as Fortnite, ChAIR Entertainment's Infinity Blade series and multiple unannounced projects, and the scope of his work crossed over into other entertainment sectors as well. 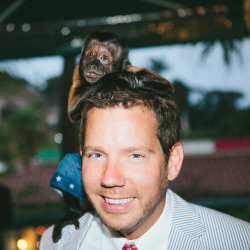 Bleszinski is currently on hiatus planning his next personal and professional moves. 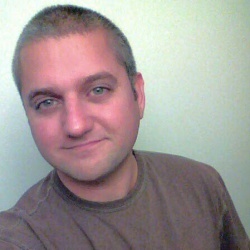 Writer, game designer and cad, Richard Dansky was named one of the Top 20 videogame writers in the world in 2009 by Gamasutra. His work includes bestselling games such as Tom Clancy's Splinter Cell: Conviction, Far Cry, Tom Clancy's Rainbow Six: 3, Outland, and most recently, Splinter Cell: Blacklist. His writing has appeared in magazines ranging from The Escapist to Lovecraft Studies, as well as numerous anthologies. The author of six novels, he was a major contributor to White Wolf's World of Darkness setting, with credits on over a hundred RPG supplements. Richard lives in North Carolina with his wife, statistician and blogger Melinda Thielbar, and their amorphously large collections of books and single malt whiskys. Over the past 9 years Steve's career has evolved from QA tester, to writer, to Creative Director. 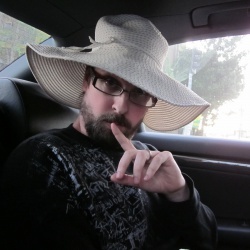 Having a life-long love of the absurd, Steve is thrilled that he has had the opportunity to be lead writer on every Saints Row title and in doing so work with some of the kindest and most talented members of the entertainment industry. 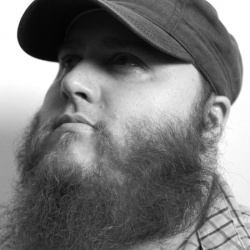 Besides having a luxurious beard, Randy has over 18 years of professional experience in video game development, across PC, consoles, mobile and handhelds. He's a hands-on designer and creative leader who has contributed to major franchises including Command & Conquer, Rainbow Six, Ghost Recon, America's Army, Rachet & Clank, Breach & Clear, etc. He has worked for several game studios and publishers including Westwood Studios, Red Storm Entertainment, Ubisoft, Electronic Arts and Insomniac Games. Randy currently works for Relevant games, an E.W. Scripps & Capitol Broadcasting joint venture. He's a proud father of 3, a retro game collector, trivia master, dev mentor and is a staunch proponent of games for good. Bobby Stein leads a team of narrative designers and writers at ArenaNet, makers of the hit MMORPG Guild Wars 2. Together, he and his team craft Tyria's Living World narrative with semimonthly new adventures. Coffee helps. Find out more about the Escapist Expo here. See you in Durham on October 4th, 5th and 6th!